I haven’t done a Friday Funny in a while, so I thought I’d share LOLCats today. I’ve been endlessly entertained by all of the permutations of this phenomenon. Here’s the deal: people take a picture of a cat (or cats) doing typical cat things like laying on a keyboard or rolling around a shelf, and put a funny caption on the image, generally using very bad grammar. And hey presto! you have an LOLCat. The purported history of LOLCats can be found here. If these pics don’t make you smile, nothing will. Enjoy! 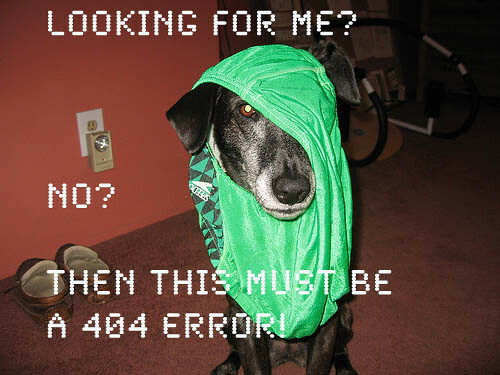 Oh, here’s my first contribution and slight variation to this meme: LOLDog. ‹ PreviousOur first 23 Things finisher! Next ›George and Joan, Thinking Out Loud: Are We Dumbing Down the Library? You have the wrong font there, it is supposed to be Impact. And also there should be some misspellings, chat-style abbreviations and/or syntax problems. E.g. : U not look 4 me? OK, this is 404 eror!!!11! Thanks for the tips. It’s really hard to write like that!